We've been hearing about the Pixel 2 and Pixel 2 XL for some time now, but there are two main things that we were unsure of: the processor(s) powering them and the release date. Thanks to a tweet from famed leaker Evan Blass, we now know that both Pixel 2 models will use the Snapdragon 836, and they'll be unveiled on October 5th. In an FCC filing for the Pixel 2 from about a week ago, the "8998" in the baseband revealed that power would come from either a Snapdragon 835 or the updated, as-of-yet unreleased 836. Evan has now confirmed that both Pixel 2 devices will sport the newer processor, making this the second time that the XL model has been simply a larger version of the standard Pixel. 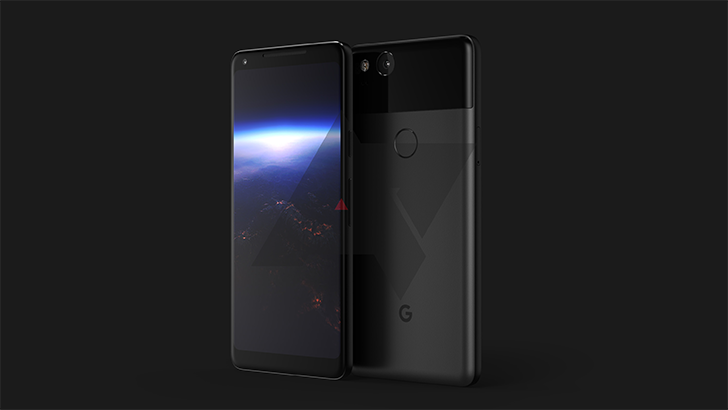 The original Pixel was unveiled on October 4th; the Pixel 2 will make its debut one day later on October 5th. That'll make the first Pixel almost a year old on the dot when its successor comes out, which is somewhat rare to see these days. We already know a bunch about the Pixel 2's specs - it'll have 4GB of RAM, dual front-facing speakers, an always-on display, a squeezable frame. A 4.97" 1080p display will be present on the smaller model, and a 5.99" 1440p panel will be on the XL. We'll have to wait until October 5th to get the full scoop, unless something major leaks in the 43 days in between.